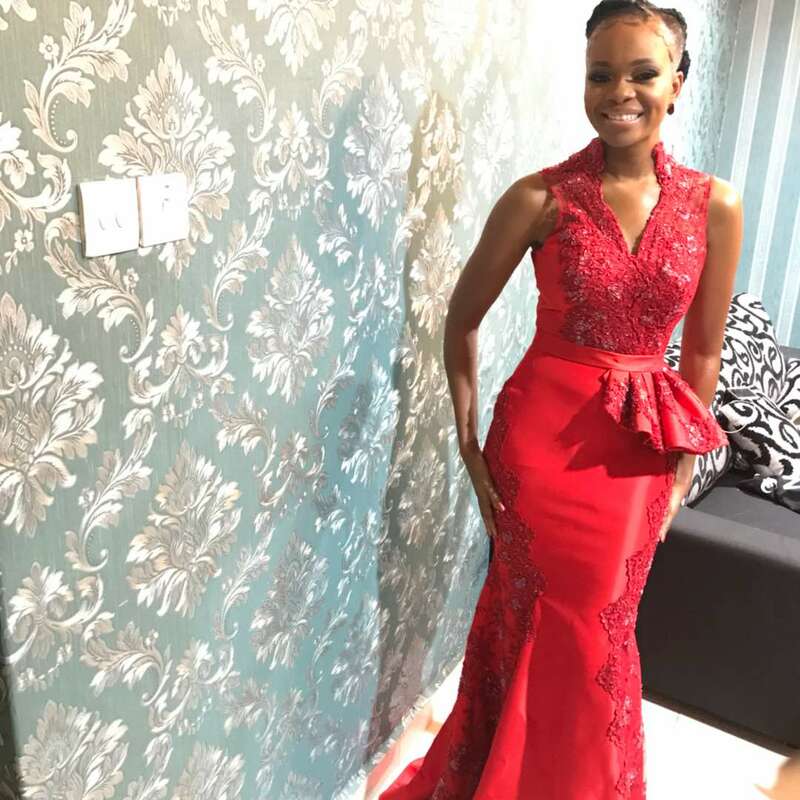 Media personality and movie star Zainab Balogun is currently having her traditional engagement with her sweetheart Dikko Nwachukwu the Founder and CEO of JetWest Airways. The couple has been in a private relationship for some time and decided to begin their forever journey. 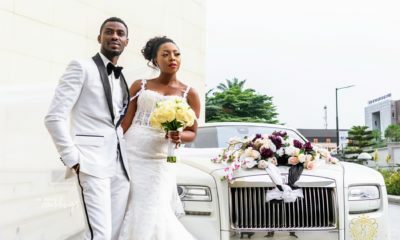 Keep refreshing www.bellanaija.com/weddings for more exclusive photos and videos and follow @bellanaijaweddings on Instagram. I’m soooooo happy for Zainab! Match made in heaven! Kai I came to BellaNaija to confirm oo that it’s a lie.?????? my crush is married. To think no much noise was even made about this. I have always loved zainab. Congrats dear! What a surprise! Now tell me these celebrities dont know their left from their right when dealing with things that concern their privacy? Look at how this couple remained lowkey till they got married. Later some will say, its the fault of the blogggers. 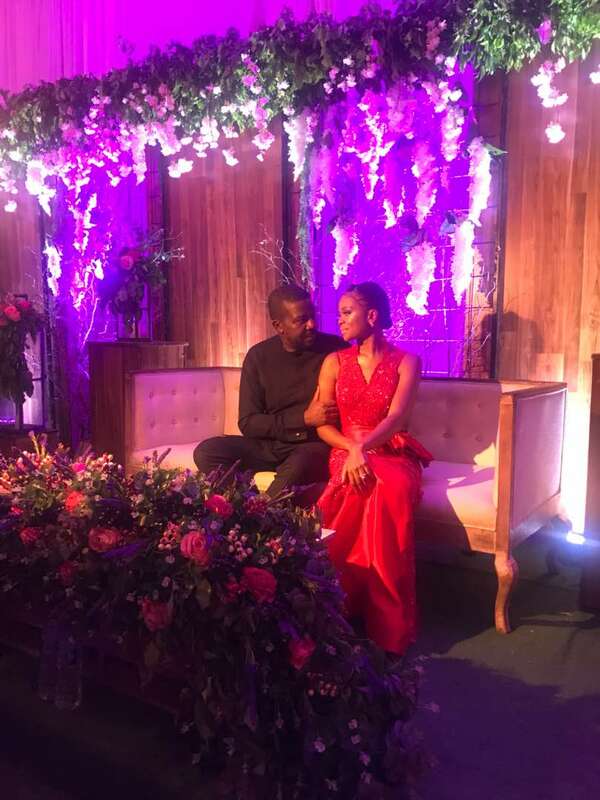 Congrats Zainab n hubby, you are on the right track on the first rule of living in Nigeria, keeping your secrets secret and not displayed on SM. Marriage bliss is all I wish you. So it was a smokescreen when Zainab said “I have not found a man who tickles my fancy” couple of weeks ago. Congratulations to them! Fantastic! This warms the cockles of my heart. Well done to Dikko and Zainab. Yep. Gen Ike and Mrs Gwen Nwachukwu. Well done Zainab and congratulations! You gave off the impression that you have no boyfriend when you had a fiance, I love it, I am like that too and it has worked for me. You are qualified for membership of the inner Caucus. So we can still find young ladies this wise in this country? Oluwaseun. All hope is not lost! So cute! 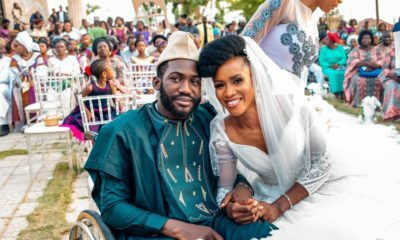 Their kids will be Wazobia children ❤️ The groom’s father is born to an Igbo-Father and Hausa-Fulani mother, and the bride is Yoruba. I like how she kept everything private. Beautiful couple! May God bless your union. Actually the groom’s paternal heritage (Igbo-Hausa) and his maternal heritage (Yoruba-Kalabari). so he himself is wazobia+. I was talking about the children Not groom, miss or mr know all ? And by Wazobia, I mean; Yoruba, Hausa and Igbo. His mother is Yoruba. I was only stating the man is already Wazobia, so regardless if Zainab is Yoruba or not, his children will still be Wazobia. Which is quite interesting to me. P.S. Dear Susan, you are very rude to me. I didn’t write my last comment to be rude. I was just shedding more light. I even wrote wazobia+ as a joke. I don’t know it all; just like Mrs Chidukane, I only googled his name. Heritage , Susan wasn’t rude in her comment, and u can also see the smiley. please don’t take it too serious, and try to have sense of humour. Good response Heritage. I don’t understand people resorting to rudeness when replying a simple comment. You can disagree without being disagreeable. Smh, what rudeness? I don’t understand. When I read Susan’s comment and heritage’s reply I was truly confuse cause they’re both same the same thing so I sincerely didn’t understand the purpose for heritage’s comment. BN, its @bimpeonakoya not @bimpeonokoya ? I googled him. Happy married life. They’re gonna have Wazobia kids! ❤️ How cool is that? Congratulations to the couple! Zainab I like how you kept it private. Rare in the entertainment industry. And she was tweeting just the other day on Sm ..that she has nobody and no man that she fancies. Deceiving the gullibles that were busy retweting her . Not knowing she don catch one big and mega catch . She even cross boundary self. She is a wicked sombori ( in Jennifer voice ). For the first time you left a somewhat reasonable comment on bella naija? Interesting. Congrats Zainab! God bless your union. Beautiful bride, and groom! ? ? Material bliss is my wish for you. What is a traditional enganement? Is that the introduction? Cos what I’m seeing here looks like a traditional wedding. Someone please clarify. I’m not very knowledgeable in that aspect, but I think traditional engagement is the same as traditional wedding which I prefer to “white wedding”. Introduction is the first step before the engagement where closely knitted family members of the couple get to meet themselves. I’m not very knowledgeable in that aspect, but I think traditional engagement is the same as traditional wedding which I prefer to “white wedding”. Introduction is the first step before the engagement where closely knitted family members of the couple get to meet themselves6. In Yorubaland, traditional engagement means engagement; this is when you become formally and officially engaged in the public eye because it will be celebrated and announced publicly in presence of family (who are already aware), extended family (the important ones will be aware e.g. the eldest elder in the family, grandparents and etc), friends, family friends, well-wishers and even enemies. The deal is sealed with eru iyawo (gifts of yam, palm oil, honey, etc) as a symbolic agreement of the engagement. It is called idana. This event is usually very big and loud except if the “oracle”, aka, ifa for traditionists or spiritual leader of Islam/Christianity prays and warn them otherwise. And sometimes it might be a member of the family that dream and warn them to have a low key everything. Now because of trends, people these days mix idana (engagement) up with igbeyawo, aka wedding. Especially with the fact that even certain millennial Yorubas can’t understand the proper language and culture. And parents are not correcting them…they are also following trend. Yoruba don’t have any such thing as traditional wedding. The igbeyawo is the wedding…all they do that day is handover the bride to the groom’s family. So basically days/weeks after her engagement ceremony/celebration depending on how far the groom’s location is, his family send few members of the family (mostly wives) to go and get the bride. The bride goes with them while crying (a ritual know as ekun iyawo which you see people now doing during engagement ? )… the transition is symbolic and known as transfer from one lineage (bride’s) to another (groom’s) hence it is the wedding. The day she leaves and go to her husband’s house is what is seen as a wedding. And that event is very intimate. With a little party for close-knit family at both the bride’s parents home as they pray for her and send her off and at the groom’s parents home as they await her arrival. Over time they added going to church/mosque/registry to the mix. So after church, for instance, the couple head back to bride’s parents for send off prayers, they will dance a bit in front of a band, if they hire one, then they leave to the groom’s parents, who are also throwing their own intimate get-together. If they don’t go to the bride’s parents, then they go to a hall and in the night, the couple head to the groom’s parents for a night welcome party. P.S. Yoruba Introduction is called Itoro. It is similar to knocking the door that the igbo do. It is a serious and investigative phase. With two key points. The first visit where the groom and his family state their intentions and the final visit that enable the families to move on to the idana (engagement) stage. 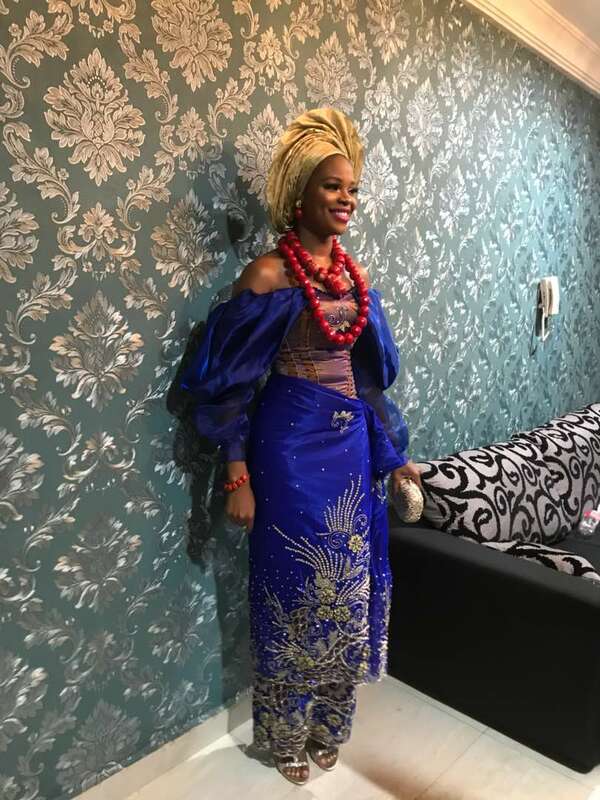 It is after the engagement celebration or even at the engagement the bride’s family decide when to hand over the bride (sometimes they decide at the final stage of the itoro as well). This was because back then the igbeyawo was very intimate and doesn’t require too much dressing up and entertainment. P.S.S. 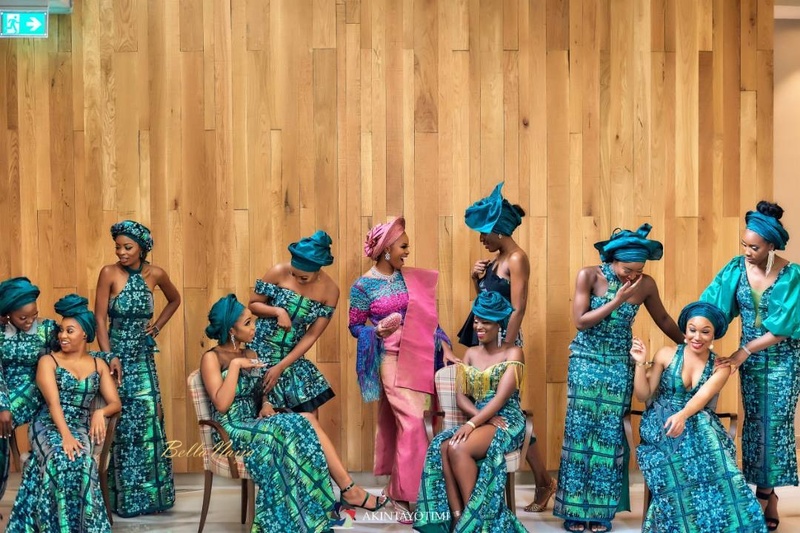 though at this stage is quite hard but an engagement can still be broken after engagement ceremony/celebration and it won’t be seen as a divorce, this is why the Yoruba so called traditional wedding doesn’t exist. If you haven’t move into the guy’s house, it isn’t yet considered a marriage. But parents these days bend the rules. So everything is all confusing and mushed up. 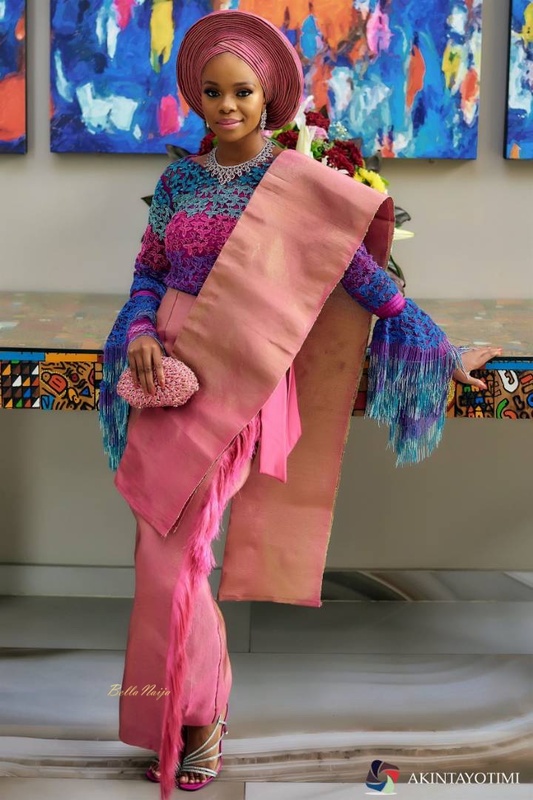 And also you can have both idana and igbeyawo on the same day…it was usually compulsory, back in the days, for pregnant brides to leave with their husband the same the day they perform the engagement rite in order for the family to avoid shame. But nowadays you can do it to save cost. Please excuse any grammatical error/typo. I typed an epistle on a phone and I am tired. 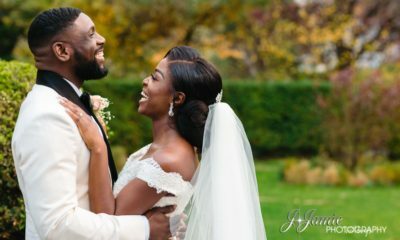 When did zainab become this mega celebrity whose wedding requires such secrecy? Infact, Amebo. I don’t know who asked her.